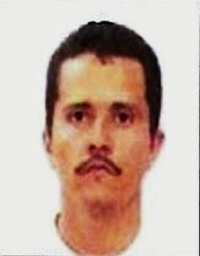 ALIASES: Nemesio Oseguera Cervantes,"el Mencho"
Nemesio Ruben Oseguera-Cervantes is the alleged founder and current leader of the Cartel Jalisco Nueva Generacion (CJNG), a major drug trafficking organization (DTO) based in Jalisco, Mexico. CJNG and Oseguera-Cervantes rose to power around 2009 as the leader of the Valencia/Milenio Cartel began to lose power. Oseguera-Cervantes took advantage of this lull in leadership, and joined the Los Cuinis DTO to fight off competition for the control of the Jalisco, Nayarit, and Colima drug distribution networks. Through extreme violence, corruption, and extortion, CJNG has increased its presence in Mexico, engaging in turf battles throughout the country and steadily expanding their territory and control. Oseguera-Cervantes has allegedly grown CJNG from a regionally based drug trafficking organization into an international organized crime power, involved with the production and distribution of narcotics throughout the world. CJNG allegedly produces multi-hundred kilogram quantities of methamphetamine and heroin, and traffics in multi-ton quantities of cocaine. Oseguera-Cervantes has been charged in a 2014 District of Columbia federal indictment for violations of Title 21, United States Code, Sections 848, 959, 960, and 963, and Title 18, United States Code, Sections 924. 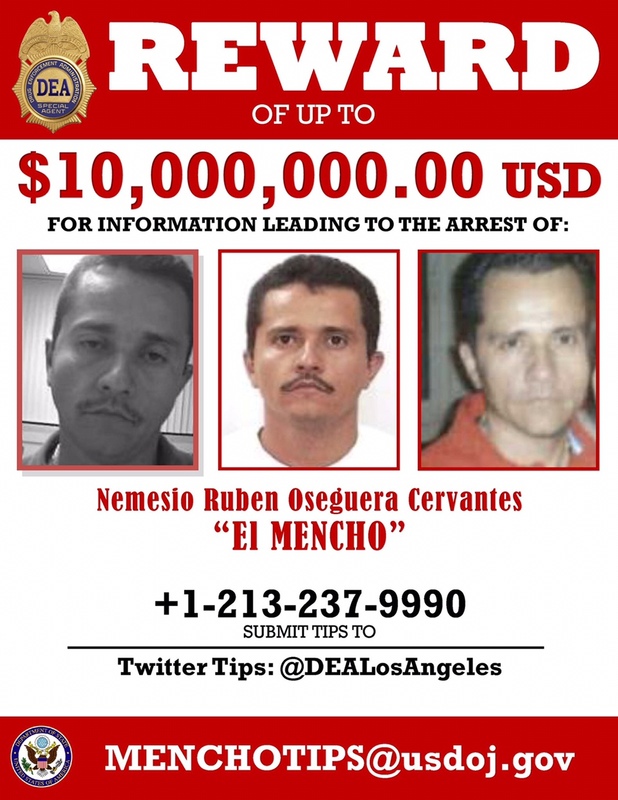 The United States Department of State is offering a REWARD OF UP TO $10 MILLION for information leading to the arrest and/or conviction of Nemesio Ruben Oseguera-Cervantes. Any thoughts? This case is pretty much hard to ignore since both Mexico increased his reward a few months for murdering 2 attorney general investigators and now the United States increased the ante to $10,000,000, meaning he’s #2 behind Rafael Caro-Quintero who’s currently on the FBI Top Ten. I've been on the record as being critical of the war on drugs and feel it has been a failure- but there are guys like Pablo Escobar (when he was alive), Joqauin "El Chapo" Guzman, Rafael Caro-Quintero etc... that are so evil it transcends my personal beliefs as they are ruthless alleged murderers that need to be caught, killed, and/or punished. Cervantes based on what's been said from all indications falls into that category of the "upper echelon" (not meant as a glorified term) of ruthless alleged drug kingpins that need to be apprehended. All this and knowing he and his organization shot down a Mexican military helicopter in 2015. However I’m appalled at how RCQ and Nemesio have both had their rewards increased and El Chapo never had his increased. Apparently El Mencho’s cartel may be behind the Grenade attack on the U.S. consulate in Guadalajara, Mexico. Fortunately nobody was hurt or killed, but it’s still something very serious.